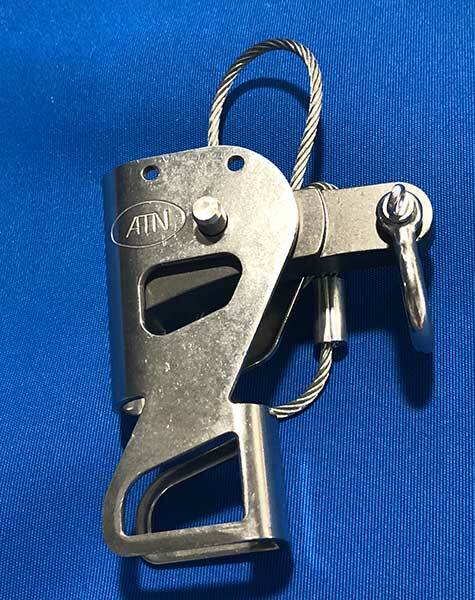 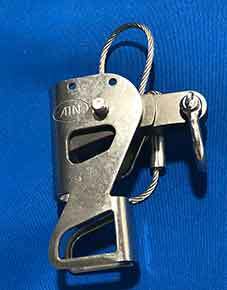 Designed by ATN and manufactured by CMI, this is the only ascender conceived to operate in a marine environment; manufactured with Stainless Steel, it will not rust. 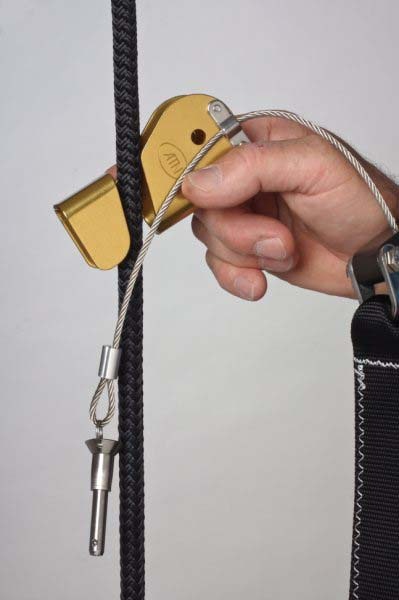 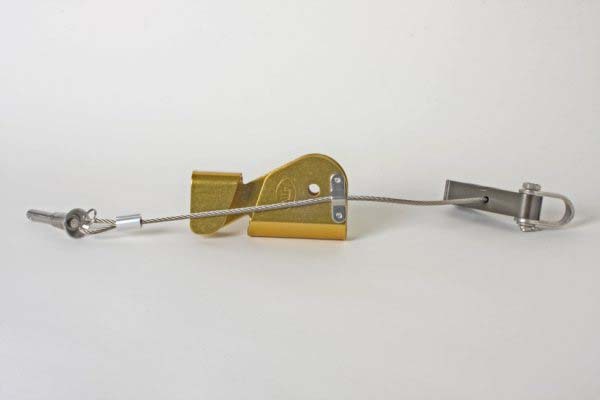 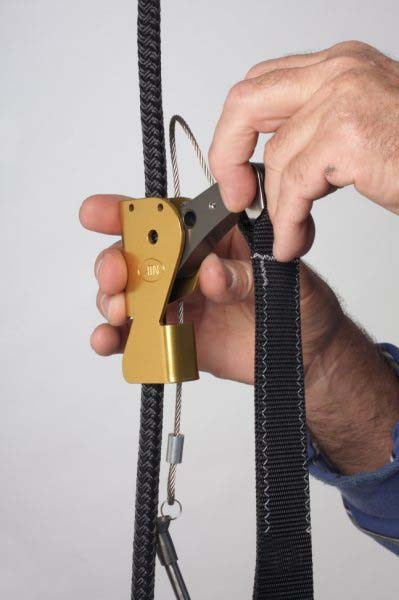 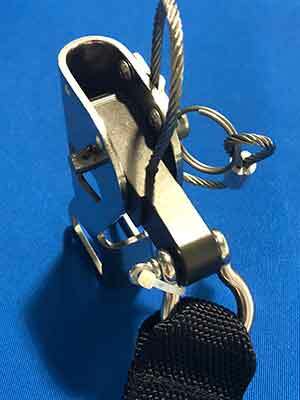 Its open design allows it to be fitted OVER the taught halyard / synthetic shroud / stay. 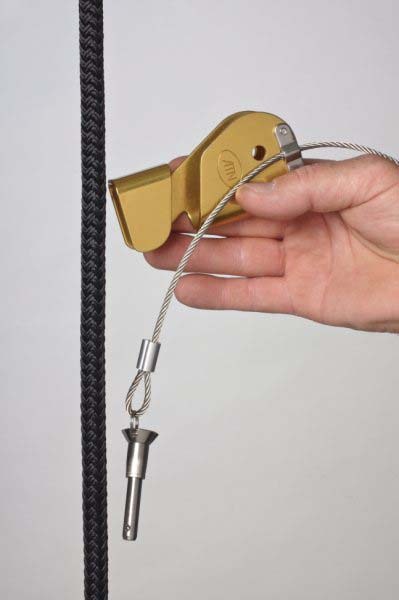 From 3/8" up to 5/8". 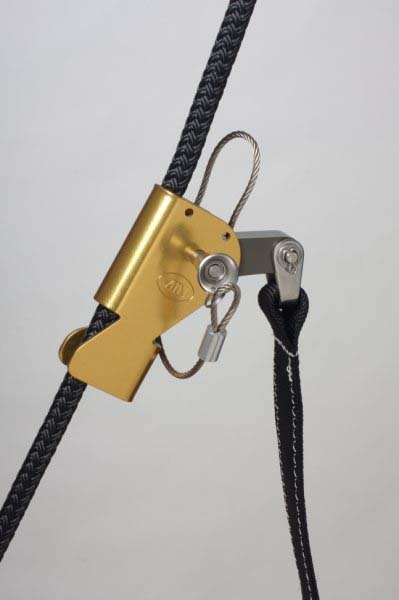 It allows the sailor to climb the mast alone. 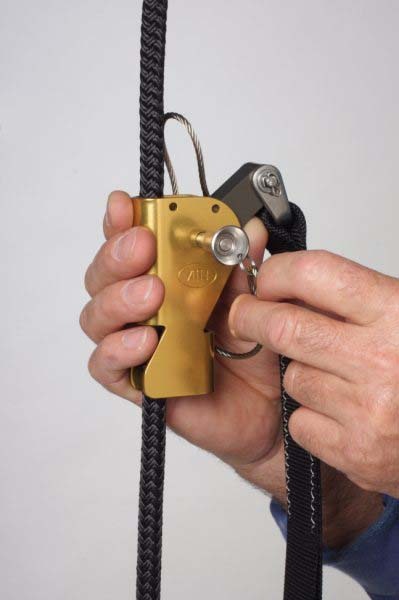 It can also be used as a safety, in conjunction with the ATN Mastclimber. 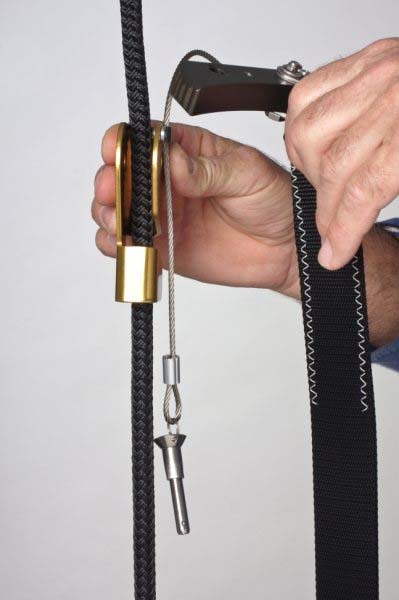 WARNING: The ear of the shackle MUST be screwed from the left side of the Ascender to promote tightening. 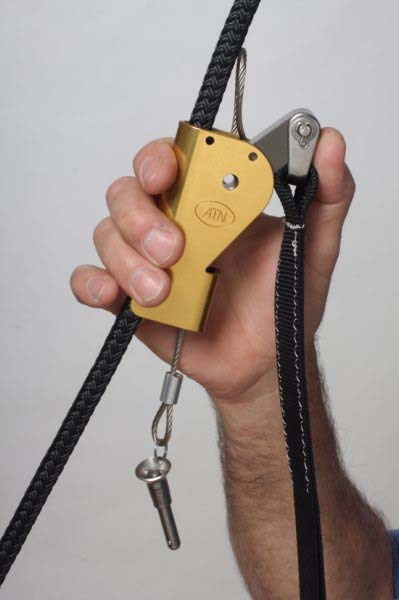 Contact ATN for more information.